At Huntington Beach Chrysler Dodge Jeep Ram, our Express Lane Service makes changing the oil easy and convenient for you. Our certified auto technicians perform same-day service, if you act immediately, on every make and model and at prices that are competitive. Whatever kind of motor oil your vehicle needs, we carry, including such popular brands as Quaker State, Mobile 1, Valvoline, and Pennzoil, to name a few. We can even put in synthetic oil, if you request it when filling out the form to the left. Following manufacturer-recommended oil changes prevents maintenance problems, ensures your engine inexpensively against potential problems, and minimizes transportation expenses in the long run, if you own your vehicle for three years or more. Well-maintained power trains typically avoid issues with rings, cams, bearing, or valves for less than 100,000 miles. While intervals vary, most auto manufacturers recommend oil changes at least once every year, or every 7,500 miles, in conventional motors for light trucks and passenger cars. For turbocharged gas engines and diesel engines, the intervals are shorter at every six months or 3,000 miles. Some carmakers recommend changing the oil filter at every other oil change to save you money on the cost of owning and servicing your vehicle. However, many auto mechanics will say that this is a false economy. Modern oil filters have already shrunk to reduce space use, weight, and cost. Although the quart-sized filter was once common in most vehicles, most powertrains now use a filter that is pint-sized or smaller. Unfortunately, a smaller filter means lower capacity for filtering. While it may work adequately for intervals of 3,000 miles for oil changes, it may be unable to filter correctly before the second oil change at 6,000 to 15,000 miles. So we recommend replacing your oil filter every time the oil is changed. 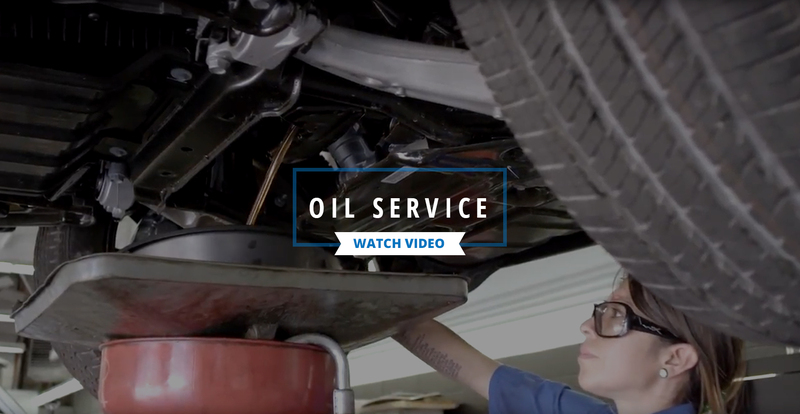 If you want to save money on your oil changes, browse our service specials page to discover any deals or coupons that we may have for that service. As a full-service auto repair shop, we also provide you with other types of maintenance and repair services, such as tunes ups, car washes, brake inspections and replacements, tire alignments, and air filter replacements. Feel free to contact us if you have any questions about how our techs and services can improve your ride.